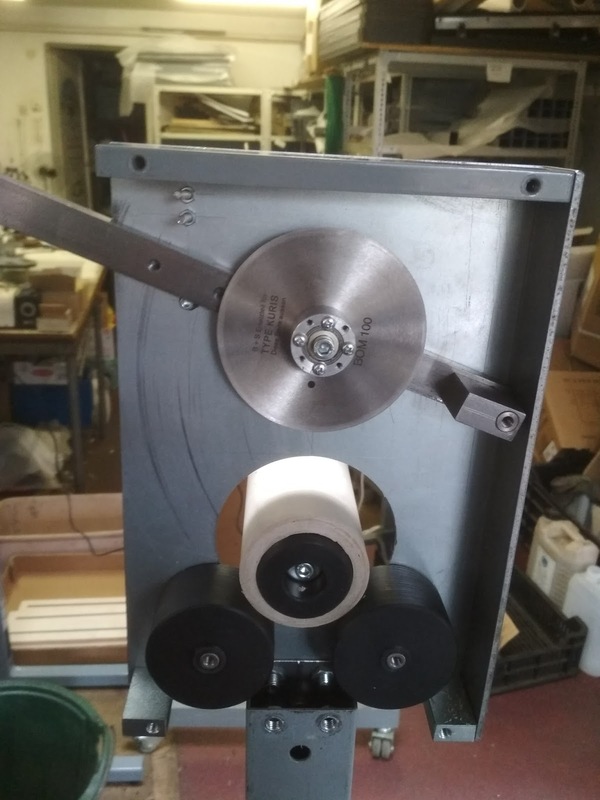 We have manufactured a paper tube cutter. To reduce the costs we have used our cheap A-1000 rewinder as a base and we've put a cutting head on it. 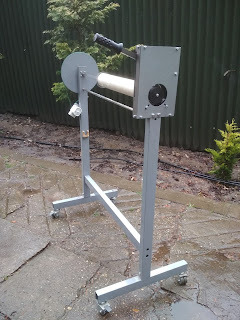 First we've equipped the device with a rotating kinfe. Then we've realised that in most case the simple straight blade is not only cheaper but also better. 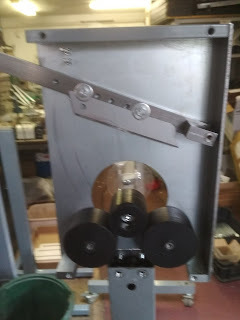 If the paper core is too strong to cut with a simple sewing machine motor we can mount this head on the stronger AH-1000 rewinder. Can it cut vinyl foil?